Want to read more? Pre-order your copy of Guardian of Secrets (Library Jumpers, #2) by Brenda Drake today! I'm back with a new critique for a middle grade holiday story. Remember that a new critique will be posted by one of us each day this week. Our Twitter chat will be December 2nd at 4:00 pm and 8:00 pm EST on #FFChat. Dear Agent, Let me say up front that I've read a number of picture book queries for contests but haven't critiqued many. I'll do my best. HANUKKAH ELF, a 580 word fiction, holiday picture book targeting 3-7 year olds was the winner of author, Susanna Leonard Hill’s 5th Annual Holiday Contest and as such, was critiqued by Claire Dorsett, Editorial Assistant at Roaring Brook Press(Impressive!). Fans of lighted-hearted stories like In the spirit of DADDY CHRISTMAS AND HANUKKAH MAMA (Knopf 2012) and THE LATKE WHO COULDN’T STOP SCREAMING (McSweeney’s 2007) (I'd put the comp titles in italics and save the all caps for your own title. ), HANUKKAH ELF is a fun, lighthearted story about will enjoy the friendship, tradition and common bonds. I feel like this PB query is already solid. I'm sure the diversity and writing credits will catch an agent's eye. The only thing I could add is to maybe work in a word or two about the character's personality. You do a great job highlighting the elf is hungry. What stands out about the boy and defines his personality? I hope this helps. Time to kick off this critique party! 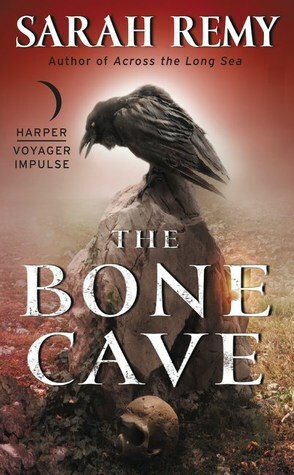 I'll start things off with this Young Adult Fantasy and a new critique will be posted by one of us each day this week. When the clans use a magical storm to blockade the Airyllens, Val is stuck behind enemy lines. (With or without her brother? stuck behind enemy lines with her mission incomplete.) If the king (You dump a king out of nowhere. I'd cut and just keep it to nationalist Airyllens.) discovers her, Val risks losing her brother, the war and her life. (It feels like you are shorting the last paragraph. Add a sentence about the choice Devon must make. Is he pressured to turn Val in? Also expand on Val's choice. What will it be like to live in a world without magic? We need a reminder of why Val has to rescue her brother. Told in alternating POVs(I'm totally unsure who is the other POV. The only other named character is the Captain. 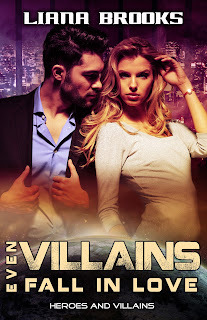 Most often, queries for dual POV will include a second paragraph from that character and then the third paragraph contains the stakes for both characters. You might want to rewrite so the alternating POV is clear. I actually think you can make the query more interesting by giving us info from both characters! ), THE EVENTIDE is a 99,000 word Young Adult Fantasy that is a loose retelling of Shakespeare’s TWELFTH NIGHT (This is my own subjective thought but I suggest not using caps for comp books and just using italics. I really feel that using caps for your manuscript and italics for other books puts the importance on your story.) . A standalone fantasy with series potential, the manuscript features characters of diverse sexualities and backgrounds. It is standalone fantasy with series potential. I believe It’ll appeal to readers of Sabaa Tahir’s AN EMBER IN THE ASHES (just italics?) and Meagan Spooner’s SKYLARK (just italics?). I graduated from the University of Rhode Island with a Bachelor of Science in Marine Affairs and a minor concentration in Writing & Rhetoric. Like Val and Devon, I love to sail. (All good as it shows why you wrote this story and that you know your sailing facts!) 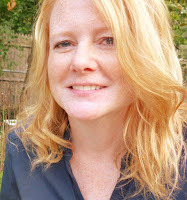 I am an active member of SCBWI and RWA and guest blogger on the Writer’s Rumpus Blog. Below you will find the first ten pages of THE EVENTIDE. Thank you for your time and consideration. A story aboard ship and without pirates is a nice twist. I hope my notes on this query doesn't overwhelm the author. My main suggestions would be to add Val's motivation in the first paragraph, make sure you give us a paragraph from the second major POV, and flesh out the stakes a little more to include what the magic does and so why Val needs to save it and her brother. Also knowing Devon's stakes would be helpful. Take what you can use from my suggestions and once you have those established, you might change out some words to get more sailing language into the query. Such as faster than you can splice a rope, Captain Devon is prow over stern in love... Using sailing verbs and slang and the query will have more voice and a unique touch. Good luck! Among so much bad news, we are all in need of a ray of light. I figured the least I could do is put together a short critique workshop to raise spirits and maybe help some writers. So a small group of five published authors has come together to offer query critiques for the next two weeks to culminate in a twitter chat about querying, publishing, and just any questions we might be able to help you with. We will do a query critique every day starting on November 21st and plan to give first priority to marginalized writers, "own voices" stories, and stories with diverse characters, worlds, and challenges. Your manuscript does not have to be completed. You just need a completed query letter. A large group of winners will be randomly drawn from the rafflecopter and their query letters requested. 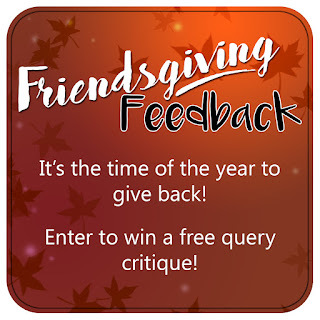 Then each of our participating authors will choose from the available entries and post their critique on their blog or on mine along with their feedback. Hopefully we can all learn more about the writing process from the breakdowns of these query letters. Our twitter chat will be December 2nd at 4:00 pm and 8:00 pm EST under the hashtag #FFChat and will last an hour. We'd love you to post some questions ahead of time down in the comment section. There's not much time so enter the rafflecopter quickly. And please help us spread the word under #FFChat. Links to the finished critiques will be given under that hashtag also. Park ranger by summer, stay-at-home mom the rest of the year, Emily B. Martin is also a freelance artist and illustrator. An avid hiker and explorer, her experiences as a ranger helped inform the character of Mae and the world of Woodwalker. When not patrolling places like Yellowstone, the Great Smoky Mountains, or Philmont Scout Ranch, she lives in South Carolina with her husband, Will, and two daughters, Lucy and Amelia. You can find Liana on the web at www.lianabrooks.com or on Twitter as @LianaBrooks. Goodreads Author Page. Laura Heffernan is living proof that watching too much TV can pay off: AMERICA'S NEXT REALITY STAR, the first book in the REALITY STAR series, is coming from Kensington’s Lyrical Press in March 2017. When not watching total strangers participate in arranged marriages, drag racing queens, or cooking competitions, Laura enjoys travel, baking, board games, helping with writing contests, and seeking new experiences. She lives in the northeast with her amazing husband and two furry little beasts. Some of Laura's favorite things include goat cheese, Buffy the Vampire Slayer, Battlestar Galactica, the Oxford comma, and ice cream. Not all together. The best place to find her is usually on Twitter, where she spends far too much time tweeting about writing, Canadian chocolate, and reality TV. Follow her @LH_Writes. Laura is represented by Michelle Richter at Fuse Literary. In 1994 Sarah Remy earned a BA in English Literature and Creative Writing from Pomona College in California. Since then she’s been employed as a receptionist at a high-powered brokerage firm, managed a boutique bookstore, read television scripts for a small production company, and, more recently, worked playground duty at the local elementary school. When she’s not taking the service industry by storm, she’s writing fantasy and science fiction. Sarah likes her fantasy worlds gritty, her characters diverse and fallible, and she doesn’t believe every protagonist deserves a happy ending. 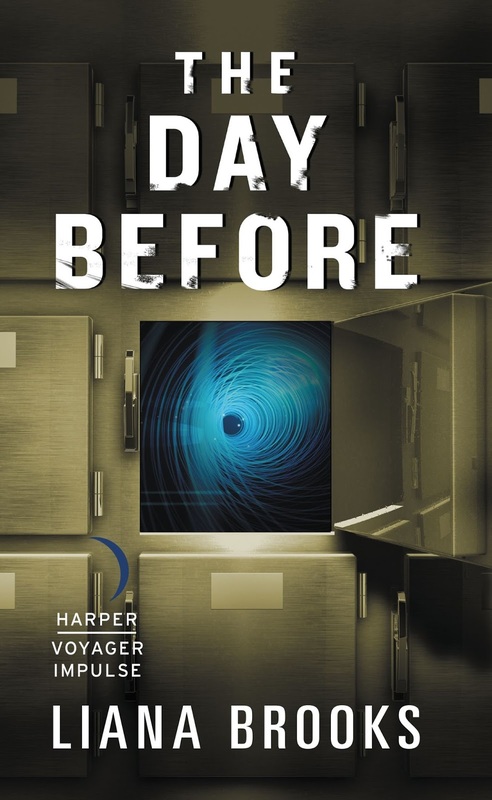 Before joining the Harper Voyager family, she published with EDGE, Reuts, and Madison Place Press. Sarah lives in Washington State with plenty of animals and people, both. In her limited spare time she rides horses, rehabs her old home, and supervises a chaotic household. She can talk to you endlessly about Sherlock Holmes, World of Warcraft, and backyard chicken husbandry, and she’s been a member of one of Robin Hobb’s longest-running online fan clubs since 2002. Michelle Hauck lives in the bustling metropolis of northern Indiana with her hubby and two kids in college. Besides working with special needs children by day, she writes all sorts of fantasy, giving her imagination free range. A book worm, she passes up the darker vices in favor of chocolate and looks for any excuse to reward herself. Bio finished? Time for a sweet snack. She is a co-host of the yearly contests Query Kombat and Nightmare on Query Street, and Sun versus Snow. 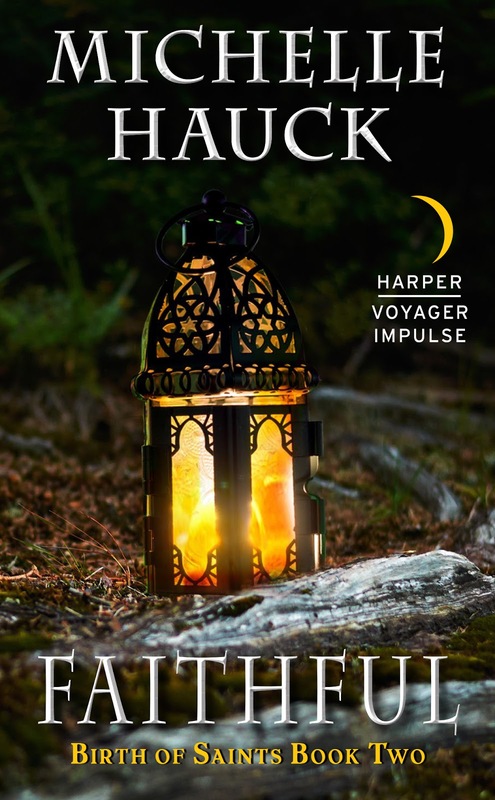 Her Birth of Saints trilogy from Harper Voyager starts with Grudging and Faithful. She's repped by Marisa Corvisiero of Corvisiero Literary. 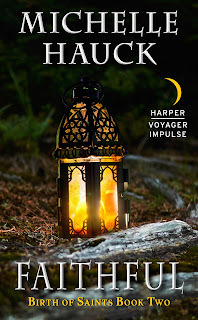 Following Grudging--and with a mix of Terry Goodkind and Bernard Cornwall--religion, witchcraft, and chivalry war in Faithful, the exciting next chapter in Michelle Hauck's Birth of Saints series! But she’s not a random crone—she’s Claire’s grandmother. She’s also a Woman of the Song, and her music is both strong and horrible. And while Claire has already seen the power of her own Song, she is scared of her inability to control it, having seen how her magic has brought evil to the world, killing without reason or remorse. To preserve a life of honor and light, Ramiro and Claire will need to convince the old woman to teach them a way so that the power of the Song can be used for good. Otherwise, they’ll just be destroyers themselves, no better than the Northerners and their false god, Dal. With the annihilation their enemy has planned, though, they may not have a choice. A tale of fear and tragedy, hope and redemption, Faithful is the harrowing second entry in the Birth of Saints trilogy. 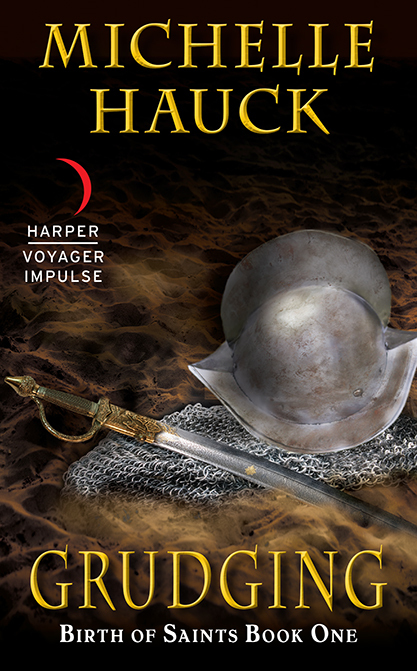 A world of chivalry and witchcraft…and the invaders who would destroy everything. The North has invaded, bringing a cruel religion and no mercy. The ciudades-estados who have stood in their way have been razed to nothing, and now the horde is before the gates of Colina Hermosa…demanding blood. On a mission of desperation, a small group escapes the besieged city in search of the one thing that might stem the tide of Northerners: the witches of the southern swamps. The Women of the Song. But when tragedy strikes their negotiations, all that is left is a single untried knight and a witch who has never given voice to her power. And time is running out. A lyrical tale of honor and magic, Grudging is the opening salvo in the Book of Saints trilogy. She is a co-host of the yearly contests Query Kombat, Nightmare on Query Street, and Sun versus Snow. Her Birth of Saints trilogy, starting with Grudging and Faithful (November 15, 2016), is available from Harper Voyager. Another epic fantasy, Kindar's Cure, is published by Divertir Publishing. She's repped by Marisa Corvisiero of Corvisiero Literary. The second book in my Birth of Saints series, Faithful, releases in three days and I haven't really had the heart to promote it on social media or anywhere else. It seems such a tiny thing in the face of all the uncertainty and unhappiness. I love my book, but there's so much more happening in the world. How can I talk about myself at this time? That's why I decided to donate all my proceeds from sales from the Birth of Saints books in November and December to the ACLU. It's a small gesture, but every little bit helps to prove that love is more powerful than hate. It's a disheartening day in the writing community. I'm feeling what can only be described as shell-shocked today. It feels like this came out of nowhere. But I did see a tweet that helped. I'm gonna wake up and keep trying to do good and so are you and nobody gets to vote on that. I feel the need to say publicly in very simple terms that I will do the best I can to promote diversity and own voices in every contest I host. To support writers. To encourage the writing community. To show that love can trump hate. So I'll continue to do all the good I can, for as long as I can, for as many as I can. Thank you, Hillary. Contest Mission: Our mission is to showcase the work of diverse and talented novelists, while providing a learning environment that unites the writing community through knowledge, kindness, and a little friendly kompetition. I'm so excited to take part in Brenda Drake's Sale & Excerpt Blitz for TOUCHING FATE! Check out the excerpt below and grab it for just $0.99, peek at CURSING FATE (book 2), and be sure to enter the amazing giveaway! “You aren’t the patient type, are you?” He undid the ribbon holding the package closed and flipped open the top, then handed her a napkin. The wind whipped Aster’s hair across her face and she tucked it behind her ears. “Nice thermos,” she said. “My mother sent it to us. She has an addiction to online purchasing.” He lifted out a cream puff. She took a bite, the creamy, sugary goodness tasting like heaven on her tongue. She nodded, not wanting to speak and spray powdered sugar at him or something. He unscrewed the thermos and poured a brown liquid into the cap. “Hot cocoa?” he asked, and passed the cap to her. “Obviously,” she said, taking a sip. Because cream puffs tasted best with hot chocolate. It was sweet that he’d taken the time to find out what she liked. They ate in silence, but it wasn’t boring. It was more like…comfortable. When they finished, Reese screwed the cap back onto the thermos and placed the used napkins in the box. He scooted as close as he could get to her. She leaned her head on his shoulder, and he slid his arm behind her back. They watched the sun set on the ocean and listened to the waves clap against the beach. “It’s beautiful here,” Reese said, finally. He smiled, brushing crumbs away from the corner of her mouth. Her heart shivered as his fingers moved to her chin and lifted her mouth to his. The kiss was soft and gentle, and way too short for Aster. He pulled away, a serious expression on his face. “Do you believe in fate?” he said softly. Aster swallowed back her surprise. “I think I do,” she said, recovering. It was a lame response. Before meeting Miri, she probably would have said she did right off. It used to be just a word without meaning. But now, it held a power beyond that of a simple definition in a dictionary. She had looked the word up. Fate was unavoidable. Something that couldn’t be measured. Yet she had the ability to shift it. She worried she didn’t have the maturity to know when to let sleeping fates lie. “I thought it was an ice cream cone.” She giggled. Oh God, Aster, stop giggling, already. Grab your copy of TOUCHING FATE for $0.99 for a limited time only! Iris Layne has always been the sweet sister. She’s kind to everyone, including her best friend Wade… Until she makes a horrible mistake and breaks his heart. All she wants is to go back to before ‘the dumping’. Of course, Wade would rather see her in hell first. But then Iris touches her sister’s tarot cards and unleashes an evil curse intent on playing a deadly game where no one Iris loves is safe, especially Wade. Join the celebration for CURSING FATE's release! Sign up to take part in the Release Day Launch on November 21st (open to everyone)! Brenda Drake grew up the youngest of three children, an Air Force brat, and the continual new kid at school. Her fondest memories growing up are of her eccentric, Irish grandmother’s animated tales, which gave her a strong love for storytelling. So it was only fitting that she would choose to write stories with a bend toward the fantastical. When she’s not writing or hanging out with her family, she haunts libraries, bookstores, and coffee shops, or reads someplace quiet and not at all exotic (much to her disappointment). One winner will receive a Touching Fate Prize Pack including: Mini Tarot Cards; Infinity Bracelet; Blackheart Choker Necklace; Pumpkin Spice Badgerface Lip Balm; signed Bookmarks; and signed stickers for bookplates! Hey Chicago, what do you say the Cubs--whoops. I guess I've been a little distracted lately with the Cubs winning the World Series and all. But I've got a new agent interview to share from Amanda Jain from Bookend and she just happens to be a giant Cubs fan like me! I am *generally* pretty good at keeping up with my query inbox, so, for me, I wouldn't say there's a particularly better or worse time. It generally has more to do with how much client work I have pending rather than what time of year it is. For example, I just had six client projects come in at the same time, so queries and requested manuscripts had to go to the back burner for a bit. Queries are hard to write, so I tend to give authors a bit of leeway in that regard. I will always look at the sample pages if the premise in your query is something I find intriguing, even if the query itself is not as strong as it could be. However, if the premise of the novel isn't something that particularly appeals to me, or the query is just an absolute mess, then I probably won't go on to read the pages. Very open! It doesn't matter to me whether this is your 1st book or 31st book. If you can draw me into your story and keep me there, that's all that matters. I am not a fan of rhetorical questions because they often tend to be non-specific and don't really tell me what is unique about your story. "What would you do if . . . ?" doesn't tell me anything about YOUR characters and their motivations. It doesn't matter what I would do. I'm interested to know what your protagonists would do. I like comp titles because they add another layer to my understanding of your book, and they also often show me that you are knowledgeable about the market you're writing for. And, yes, I think almost anything can be a good comp: movies, tv shows, music videos, songs, etc. But, do your research and choose comps that really tell me something. Don't just comp your book to a bestseller to try to grab an agent's attention. In the end, it isn't going to work, and it shows me that you haven't actually done your research. Honestly, I'd rather just hear about your work. If we've met at a conference, or you're responding to a #mswl tweet or something, then point that out. It's always good to know if there are specific reasons you're querying me. But don't waste valuable query space on chit-chat that doesn't ultimately draw me into your story. First and foremost, get me to read your pages. We can talk about the other stuff later. I probably receive about 50 queries a week, with spikes after #mswl tweets or after contests when authors see me fave-ing pitches that might be similar to their manuscripts. On average, I would say I might request 1-2 manuscripts a week. Most agencies will have guidelines on their websites for queries and nudges, so always follow a specific agency's requests. In general, and for me specifically, I would say wait at least three months before you nudge. I know the waiting is hard, but the less time agents spend answering emails about when they're going to read something, the more time they can actually spend reading that something. Of course, if you get another offer of representation, we'd like to know that right away so we can prioritize. We'll always take as much time as you can give us! If you can give us two weeks that's great, but try to give at least one full week to get back to you if possible. I wouldn't go so far as to say we REQUIRE writers to have an online presence, but we strongly encourage it. In today's publishing world, much of the marketing and publicity work falls on the author. The more ways you have to engage with readers and get them interested in your work, the better. If I'm interested in offering representation to someone, I definitely hop on Twitter and Facebook to do a little digging. It not only tells me how engaged they are with the publishing community and how they might work to promote their book, but it can also tell me whether this is someone that I think I could have a good working relationship with. For me, I think only if I've previously requested material, unless the revisions are so astoundingly, profoundly book-changing that it would really show in your query and sample pages. It wouldn't matter to me if the changes were due to an R&R from another agent. Presumably, the author also saw the value in making those changes and the manuscript is, theoretically, now better than it was before. I wouldn't go so far as to say I'm sick of it, but, because I focus a lot on historical fiction, I get a ton of queries set during the Civil War that aren't really offering anything new to the reader. If you're writing on a topic or time period that's received a lot of focus, you have to bring something new to the table. What can you say that's different, that the reader hasn't encountered a hundred times before? If your soldier is going off to war and his wife is awaiting his return, how is their story different from all the ones that have come before? Make me see the Civil War or the Tudor monarchy or the French Revolution from a different angle, a different perspective. I don't pay much attention to trends, really, because usually by the time something is trending in the marketplace, it's already difficult to place new manuscripts that fit the type. The market tends to get over saturated pretty quickly, and then there's this glut of manuscripts that can't find homes. I definitely keep track of editors' wishlists, especially when they align with my own. I wouldn't say that it affects whether or not I sign a particular client, because the preeminent factor in my deciding to offer rep to someone is whether or not I'm IN LOVE with their manuscript. But, it makes the submission process a lot easier if I can target my pitch to editors that I believe will love the manuscript as much as I do. We are definitely a hands-on agency, and we work with our clients to make their work the best it can possibly be. This is another vague answer, I know, but signing a story that needs work really depends on what state the manuscript is in, how unique and original the premise is, and if I think the author and I can work to get the manuscript where it needs to be. All three factor in, to varying degrees in each case. If you have a fantastic premise but I can tell that what you're sending me is really a first draft, I'm probably going to pass. If you have a fantastic premise, I can tell you've done lots of polishing, but maybe the pacing is dragging a bit in the middle, well, that's something we can probably work on together. A manuscript doesn't necessarily have to be sub-ready, but you must show that you've put in the time and effort to get it pretty close before you start querying. I think my biggest query pet peeve are the ones I receive that are one or two sentences about the book and then four paragraphs about the author. I think it's great that you have four children, 11 grandchildren, 3 dogs, you've loved books since you were 5, you've had two careers, etc, etc, etc. But your query is not the time or the place to tell me these things. I want to hear about your book. What's the conflict? What's at stake for your characters if their goal is not achieved? What makes your premise unique and original? How do you think your book fits in to the current marketplace? These are the things I need to know, not that you have a pet snake named Buddy and, unless you're pitching me a guide to yoga, I don't need to know that you do it every day. Sell me your book! There are really only two things that would automatically sink a query for me. The first is a query that is riddled with typos and grammatical errors. If you haven't put in the time and effort on your query letter, I'm going to assume--fairly or unfairly--that you haven't done the work on your manuscript either. The other thing that will sink queries immediately are any that include anything that's racist, sexist, homophobic, or pretty much anti-anything. We have a zero tolerance policy at Inklings for anything along those lines, and you can expect an automatic rejection. 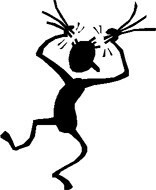 1) I am on pins and needles waiting for a submission that blends the tropes of historical fiction with the psychological suspense so popular today. If you have Jane Austen meets Gillian Flynn, I want to see it! 2) More nonfiction, especially that dealing with social history, material culture, or travel / literary subjects. Think Wendy McClure's The Wilder Life, Rinker Buck's The Oregon Trail, Deborah Lutz's The Bronte Cabinet, Caroline Weber's Queen of Fashion, Kate Colquhoun's Murder in the First-Class Carriage, or Marilyn Johnson's Lives in Ruins. 3) I would also really love to see adult or YA fiction with very grounded / realistic magic. I had a random thought the other day about a Revolutionary War or Civil War nurse that uses magic in her healing and haven't been able to stop thinking of that idea since. So if you have that, or something else where the magic is very grounded, I'd love to see it. Some of my favorite books are the Outlander series, The Eight by Katherine Neville, Stephen King's The Stand, and anything by Susanna Kearsley, Jennifer Crusie, Tony Horwitz, or Bill Bryson. 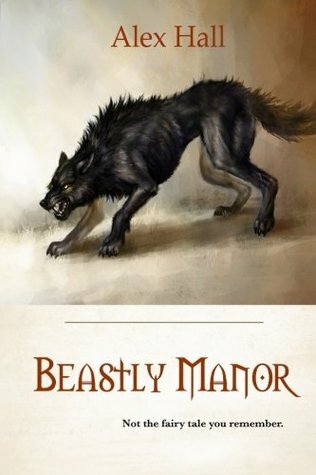 Some recent books I've loved are Brittany Cavallaro's A Study in Charlotte, Adriana Mather's How to Hang a Witch, and Sarah Hall's The Wolf Border, which was staggeringly, amazingly, tune-everything-else-out good. I just started Alison Goodman's The Dark Days Club, and it promises to join that list. Amanda came by her love of reading honestly, inheriting it from parents who always had books close to hand. She began her career in publishing at W. W. Norton, where she spent seven years before pursuing a masters degree in history of the decorative arts. She rejoined publishing shortly thereafter at Inklings Literary Agency, and is excited every day to encounter new writers and their stories. 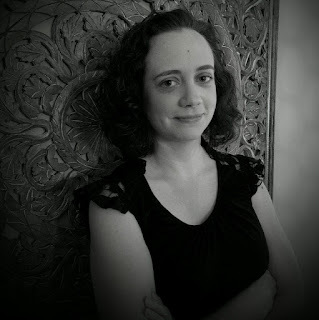 Amanda currently reps adult romance, mystery, women’s fiction, and upmarket fiction, with a special emphasis on historical fiction in all genres. She also represents narrative nonfiction, especially projects exploring the literary world, art history, material culture, archaeology, food history, or social history. She loves projects with a strong sense of place and those that create a completely immersive world. She is particularly interested in books that add something important to the conversation, that explore stories we haven’t yet heard, and that introduce new voices to our reading experience. Amanda currently lives outside of Washington, DC with her husband and two kids. When she’s not reading, she likes to cook, root for the Cubs, and spend as much time outside as she can.